2. 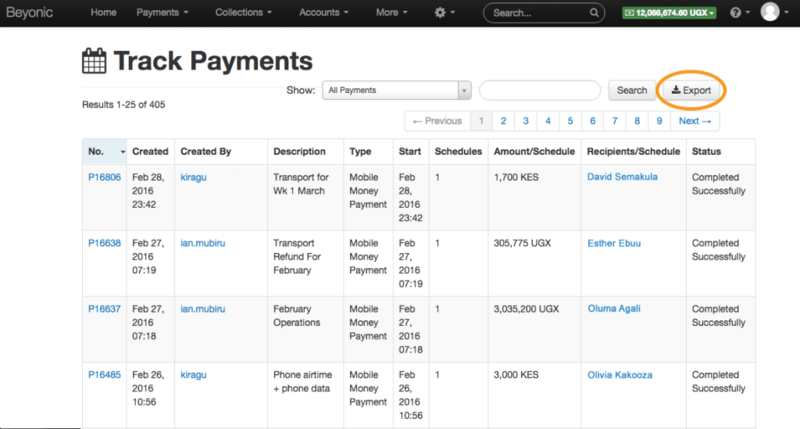 Create a Payment Report using the EXPORT button on the payment list page. This groups payments up and also exports ALL history. It currently doesn’t have date selection. 2. You can also create a report from the Accounts Menu. This includes details of each payment to each recipient and also includes fees and account top ups and balances. It also has a date filter so you can limit to the Feb transactions only.